Business meetings in a unique environment. Radisson Blu Royal Viking Hotel is a central conference venue taking up to 150 people. Selma Spa is a fantastic place for inspiration, relaxation and activities. Vår Gård Saltsjöbaden dwells 15 minutes from Stockholm. Known for art, good food & lush surroundings. Plan your future fifty two steps from the sea! Häringe Slott - a place of contrasts! Scandic Uppsala Nord - a modern conference hotel för meeting with up tp 190 persons - located only 5 minutes från the city centre. Meeting place a mere 5 minutes away from Arlanda. Free transfer with own coaches. Barkarby Gård Fest & Konferens with the ballroom Tingshuset and the traditional inn Lasse Maja. 7A Centralen - professional meetings in representative premises, 3 minutes walk from the Central Station. Färna Herrgård for all senses! Happy Tammsvik is the meeting place where humor is taken seriously! Radisson Blu Scandinavia Hotel - in the middle of Gothenburg by airport shuttle buses, trains and trams. The largest spa and leisure hotel in south-east Sweden is located in the famous Brunnsparken. The address for success! Arrive feeling like a prince, and leave like a king! Runö - conferences & events on our own peninsula! A vibrant meeting place with 532 rooms, 19 light and airy facilities with capacity for over 1000 people. Welcome to Strandvägen 7A. Here you find the most beautiful premises for meetings & events in Stockholm. By the entrance of Österlen rests Brösarps Gästgifveri & SPA. A meeting place for everyone since 1684. Ulfsunda Slott. Where design and history intersect. Varbergs Stadshotell och Asia Spa is a high quality and service venue at top class in central Varberg. Conference, golf and weekend in a charming archipelago setting. Only 45 mins from Stockholm. 8 central, light, fresh, fully equipped conference facilities. Up to 100 people theatre style. Vadstena Klosterhotell is a modern weekend and conference hotel. Here at the jolliest conference venue in Sweden, your meeting becomes a mix between work and leisure. Schenströmska Herrgård is a beautiful manor situated in Ramnäs, just by the lake Nadden. Close to Stockholm, yet very different. 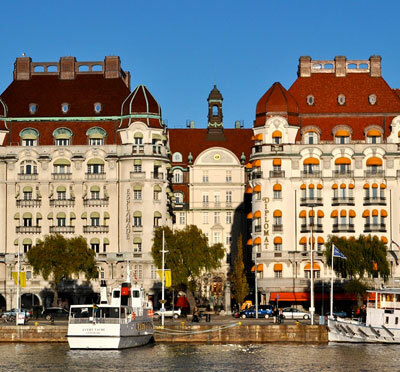 Elite Hotel Marina Tower - a stone's throw from water with the most stunning view in Stockholm. Conference near Arlanda! We offer free transfer. Inspiring meetings and conferences, weekends and golf in a rural archipelago setting. Centrally located conference venue at Odenplan. From small meetings up to 150 delegates. Historical surroundings for modern conferences close to Stockholm and Arlanda. A hotel in the centre of Kalmar where people meet and good conferences take place. One of the most inspiring venues in Scandinavia with 272 hotel rooms and 80 facilities for 400 guests. Host for parties and meetings since 1898. Central facility inside the Ring Wall in the world heritage city of Visby. A health resort for body and soul! Exclusivity - your group will be the only one on the venue - on the island of Lidingo, 5 km from city. Change the office for a creative meeting in Malmö! Here we open new rooms, one with space for 65 and two for 20 people. Sånga-Säby - friendly hospitality in a climate neutral environment, by the shores of Mälaren. Welcome to IKEA Hotell and get inspired of our rich history. Hotel Diplomat Åregården - the heart of Åre - offers an ideal setting for the tailored meeting. Full service business and leisure hotel in the heart of Gävle. Stunning and close to sea with 20 minutes to Stockholm! A place for the small and large meeting. Welcome to Sinnena's spa. Fantastic atmosphere and surroundings with own made wine. 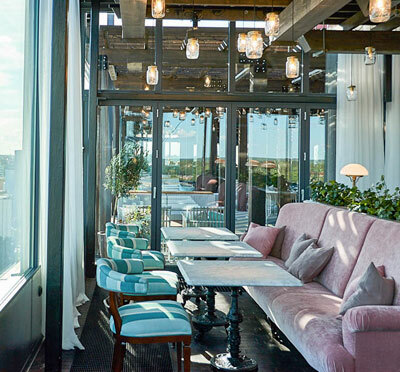 The Steam Hotel transforms conferences into energ - A new hotel with unbeatable view of Lake Mälaren. Traditional mid-hill hotel with comfy rooms, conference, after ski, sun terrace, restaurants and bar. 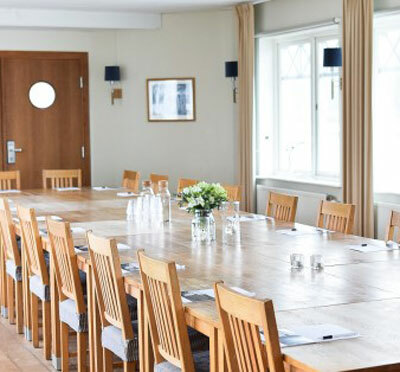 Family-owned, personal conference hotel in the heart of Sigtuna - 15 minutes from Arlanda. Två Skyttlar delivers conferences in a harmonious and homely setting, away from the bustle of the city. Welcome to a thoughtful meeting place in the heart of Mälardalen! The castle is beautifully situated by the southern shore of Mälaren. First class hotel in central Visby for conferences and meetings! Bosön is the place for most arrangements! The small- and large-scale conference or event for thousands. Host your conference in a historical setting at Scandic Foresta - close to both archipelago and city. Conference in typical Swedish nature - suiting slim budgets. Flawless meetings are delivered at Skåvsjöholm in the inner archipelago with 25 min to the city. New near Arlanda: Rosersberg Hotell och Konferens - the only venue within the walls of a royal castle. Engsholms Slott, by the sea 45 minutes from Stockholm. Welcome to thoughtful meetings! Stora Brännbo is a meeting place in central Sigtuna, only 15 minutes from Arlanda. A summer hotel! Modern venue with everything collected under one roof! The unique location of Haga Forum encourages inspiration and creativity. Quality, pleasure and a personal treatment! In trendy and relaxed Hammarby Sjöstad - affordable! Professional meeting environment in Solna - great views over the water. Rarely seen setting from the 1600s with contemporary comfort. By Brunnsviken mere minutes from the city. Meet in an inspiring homely environment - Welcome to Park Inn by Radisson Uppsala. Good food, functional technique and good conference rooms are the key pieces for a great conference! For meeting in exclusive privacy. In the heart of Malmö, Radisson Blu Hotel offers 25 meeting rooms. A brand new hotel 275 meters from the entrance to Stockholm Bromma Airport. Tärnaby Fjällhotell - between Anja and Ingemar ski slopes. Activities all year round! World Trade Center - best place for communications in the middle of the City of Stockholm. Four-star hotel with authentic Dala atmosphere in Tällberg. Citykonferensen - a conference venue in central Stockholm! A complete conference venue with new, fresh hotel and conference facilities. A meeting place for unlimited thoughts and dialogue. Sigtunastiftelsen adds another dimension. With Jönköping and Halmstad at equal distance, Hestraviken dwells by Isaberg with Nissan flowing past. Falsterbo - Sweden´s "southern tip"
Spa and meeting venue in a creative environment close to sea and inspired by Bohuslän. Roda Kurslokaler offers modern conference and classrooms with computers just by Stockholms C-station. High class meeting in the countryside! 98 hotel rooms - 69 single, 29 double - 8 conference rooms, 10 group rooms, up to 180 theatre style. First class meetings at Radisson Blu hotel Uppsala. Together we upgrade Uppsala. 2 minutes walk from Terminal 5 and Terminal 4. A meeting place with comprehensive technology only a creative stone's throw from Bromma Airport. Scandic Winn - in the heart of Karlstad. Especially designed premises in the City for meetings of any size. Boring conferences is our nightmare. Welcome to Aronsborg - love, compassion and chocolate. A fairy tale of Värmland! Nordic Sea Hotel is the authentic Stockholm hotel in middle of the City. Meetings of any size - in the middle of the city! Three-star business and conference hotel in Barkarby with excellent communications to Arlanda & city. Six meeting rooms in unique design and spacious lounge for mingle and events in the heart of Södermalm. Red granite, wild storms or stil waves, snowstorms or thrilling sunshine. A unique place to meet at! Manor estate with high ambitions for consideration, service and food. Modern and with superb technology, Summit is an accomplished meeting point in the middle of Stockholm. Create an efficient meeting in seclusion in central Stockholm! 17 mötesrum, varav 1 auditorium och 6 Hilton mötesrum, dedikerad personal och högklassig utrustning.